How To Avoid YouTube Copyright Strikes And File A Copyright Counter-Claim? Online Music Store How To Avoid YouTube Copyright Strikes And File A Counter Claim? How To Avoid YouTube Copyright Strikes? On a rainy day, YouTube receives millions of video content from artists and celebrities all over the world. Similarly, a lot of users visit the site to view the latest content and engage where it’sallowed, but that doesn’t mean there are no challenges while dealing with YouTube. They have rules set in place to protect content posted. Their catalog contains hundreds of years’ worth of videos and each time you post something to the site; it goes through their content ID system to scan for inappropriate stuff or copyright violations. •	Digital Millennium Copyright Act (DMCA) takedown. •	Violation of YouTube terms and conditions as well as their guideline. To avoid takedowns or removal of your video, comply with the rules set by DMCA via YouTube or avoid detection by manipulating the loopholes and that is if you know where to find them. However, following the rules is a much better option or better yet, create your own content. You can also try distorting your copyrighted content or conceal the content keep the automatic scanners away for few hours. You can avoid Content ID match by simply being original to prevent companies from suing you. If you post a video matching filming companies like Warner Brothers, it will be flagged, and the company decides the action taken. If you are lucky and your content turns out to favor them, they monetize it, but it’s still taken down. 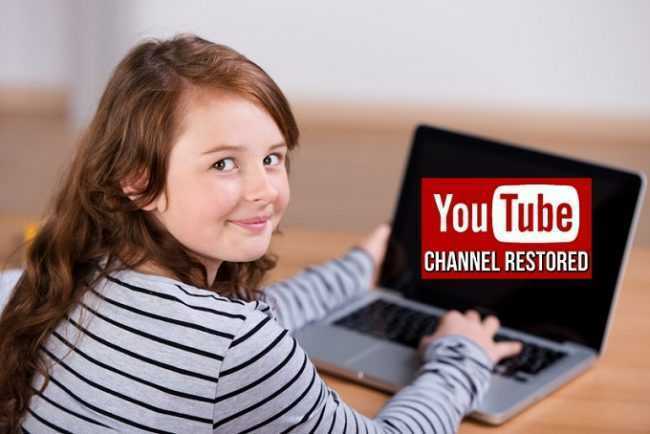 To use YouTube, rules have to be set and followed. Inappropriate content will lead to your video taken down and that includes any kind of abuse, violence, pornographic materials, gruesome content, hate/assault speech and anything that is considered spam. Simply comply with the guidelines to avoid removals. Shortcuts like looking for loophole might get you into trouble even though some have successfully sneaked videos through. How to file a YouTube Copyright Counter-Claim? It would be infuriating when your content is removed for alleged copyright violation while you know very well that it’s not the case. Before you go cursing around, you can send a legal request to YouTube asking them to reinstate the material in question. If the content was removed by mistake or it was indeed misidentified, the case will be pursued. The counter notice you send will be forwarded with the personal information you provided which means you already gave consent the moment you decided to submit the counter notification request. The original uploader must be the one to submit the request, the agent authorized or an attorney authorized to act on their behalf. If your account has received various suspensions due to multiple copyright violations, you will not access the counter notification web form. Otherwise, a free-form counter notification will be available for you to lay claim. Once the notification is forwarded to the claimant, he/she has ten business days to reveal their course of action. Since your content might be removed due to violations, content ID, and not complying with DMCA, you can lay claim to each one of them. Just fill in theweb form available on your video manager page. Ensure that the information you give is correct to your knowledge and then justify why you believe your content has been unfairly removed. Your message must be specific; otherwise, YouTube will drop your case without a second thought. Alternatively, you can write your own claim to the YouTube copyright compliance address, copyright@youtube.com and be specific. On unfortunate occasions, you might not receive a confirmation message from YouTube. Chances are your claim got lost in the system, so, the best thing is to resubmit. In case you deleted the video in question or forgot to provide a justification text, a reply refuting the claim will be sent to you. Systems make mistakes too and if you are among the unfortunate, your upload will be back on YouTube as soon as your case is approved. Also, if you are confident that your content is original and purely your creation, YouTube or the claimant have no right to take down the material and you have every right to take legal action on them. YouTube has many users and if they complain a lot about your content, the company will be forced to remove it, but it will be under law. Other than posting original material, try uploading copyrights for free, otherwise, monetizing on someone else’s’ content will definitely raise a red flag. People love free stuff and that is the smartest way to sell your brand. Besides, it’s better to be patient than going viral for 15 minutes, and the world forgets your content in a week.